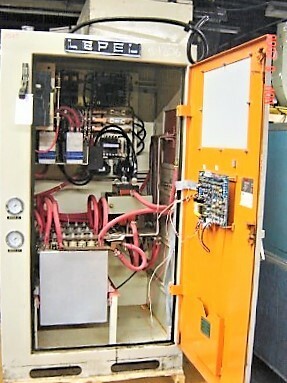 Inductoheat /Lepel Induction Power Supply. 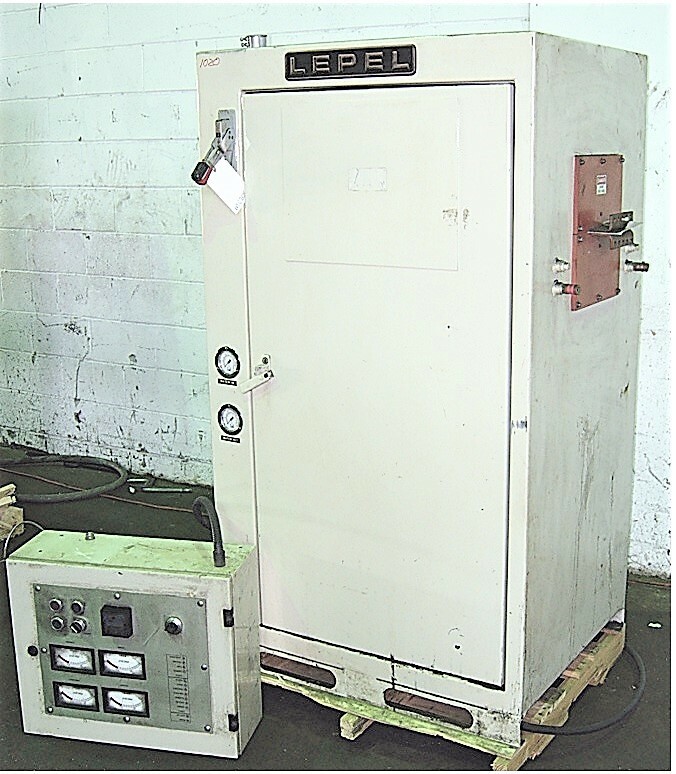 This is a Lepel/ Inductoheat SP12-100 kW-30 kHz IGBT type induction heating power supply with Integral Heat Station. 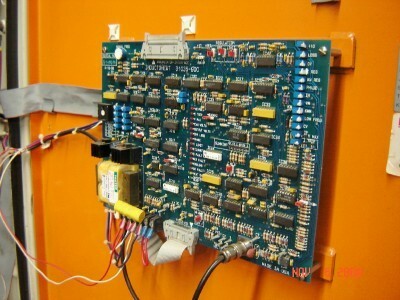 This is an older version of a currently offered Inductoheat Power Supply. The SP12 power supply is designed to match multi-turn coils (400- 2000 V) that are used for hardening, tempering, tube heating, crystal growing, brazing, wire/strip heating and many other induction heating applications. A wide variety of heating coils can be properly matched with built-in load tuning capacitors and multi-tap output isolation transformer. This has a REMOTE OPERATOR PANEL which can be used to operate the power supply if it is placed away from or oriented away from the heating operation. This is an optional extra cost item when purchased with this power supply. It can be shown operating. There is no warranty but it is sold with the assurance it is in good working order. It will be connected and tested in our facility. 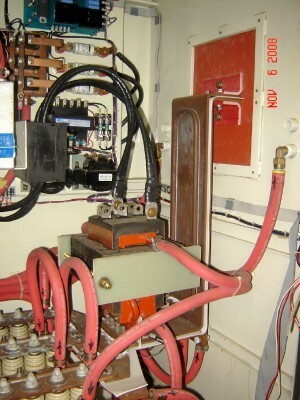 Start up and Training service is available at extra cost by an experienced induction heating service engineer. 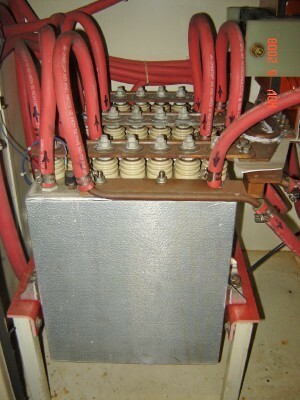 We can also offer repairs and servicing for Induction Power Supplies.